With 10 branches Naturgut is the market-leading organic supermarket in the region of Stuttgart, Germany. The first branch was founded more than 20 years ago. Since then further branches were opened to provide the people of Stuttgart with organic food. In order to serve customers outside the direct catchment area, Naturgut started a delivery service with online shop in 2016. Customers can order 24/7 online – on their preferred device: mobile, tablet or desktop without installing an extra app. Orders are delivered at their desired timeslot. When ordering until 9am, customers can even select the same day for delivery in the checkout process as same-day-delivery. In the beginning, Naturgut ‘simply’ wanted to have a new website for its 10 stationary branches in the area of Stuttgart, Germany. The outcome was a new website as well as an additional branch in the form of an online delivery service. This ‚online branch‘ cooperates with the existing branches in the logistics processes. Naturgut decided for the SAAS Food Commerce Cloud as technology because it was possible to realize the picking from the stationary organic supermarket without extra investment cost. All items the customer chooses when ordering online are picked in two of the ten branches. The SAAS Food Commerce Cloud tells the employees automatically which products have to be picked in which branch considering aspects of availability, service counters and utilization. After picking from the stationary supermarkets the orders get packed and delivered at the desired timeslot. As the organic food is already available in the stationary supermarket, Naturgut was able to offer same-day-delivery from beginning on. The employees in the branch pick in the morning when it is usually not that busy in the market. At the service counter orders get only picked when there are no supermarket customers waiting in line. The product data for the organic food in the online shop come out of the ecoinform database, an external system for organic products. Current sales prices are updated from the cash system of the branch. Naturgut is one of the first organic grocery stores which uses existing branches to serve their new online customers. 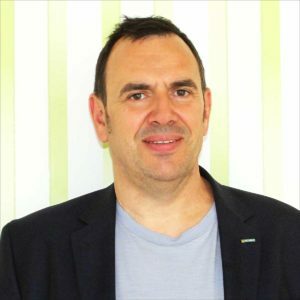 The connection between online shop and offline branch made a quick go-live possible as existing resources are used and no big investments had to be made. However, the online shop does not compete with the stationary branches: customers can buy organic food online and also find information about the branches. 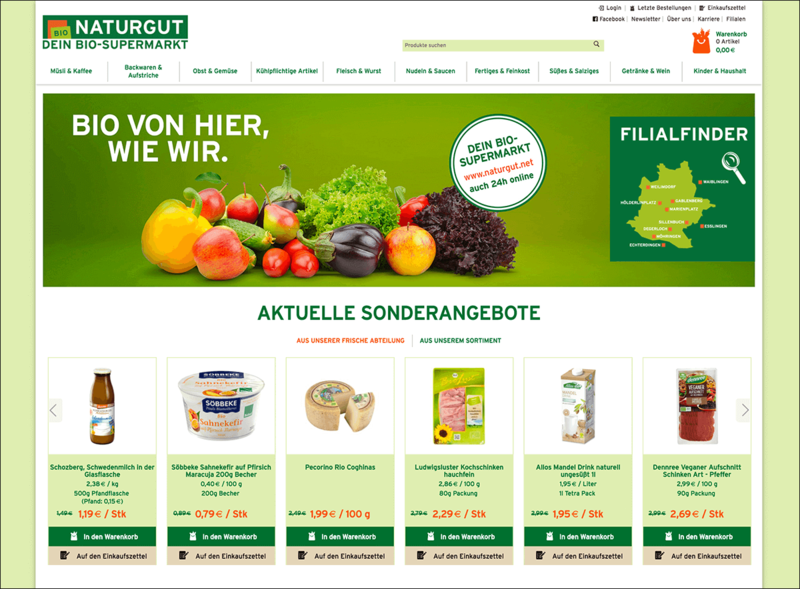 Read the case study about our customer Lieferladen.de, a pure online supermarket.